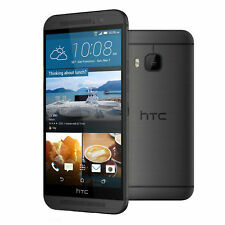 Model HTC One M9 32GB. Network GSM/CDMA/HSPA/LTE. 4G Network LTE band 2(1900), 3(1800), 4(1700/2100), 5(850), 7(2600), 12(700), 17(700), 29(700). - HTC Sense UI 7.0. Silver Color, and Gray Color, and Gold color are available. 3G: HSDPA 850 / 900 / 1900 / 2100 - E5803, E5823. 4G:LTE band 1(2100), 2(1900), 3(1800), 4(1700/2100), 5(850), 7(2600), 8(900), 12(700), 17(700), 20(800), 28(700), 38(2600), 40(2300) - E5803, E5823. 3G Network HSDPA 850 / 900 / 1900 / 2100 - E5803, E5823. 3G: HSDPA 850 / 900 / 1900 / 2100 - E6603, E6653. 17(700), 20(800), 28(700), 38(2600), 40(2300) - E6603, E6653. 3G bands HSDPA 850 / 900 / 1900 / 2100 - E6603, E6653. 12(700), 17(700), 20(800), 28(700), 38(2600), 40(2300) - E6603, E6653. NETWORK Technology GSM / HSPA / LTE. 4G bands LTE band 2(1900), 3(1800), 4(1700/2100), 5(850), 7(2600), 12(700), 17(700), 29(700). 2G bands GSM 850 / 900 / 1800 / 1900. PLATFORM OS Android 5.0 (Lollipop), upgradable to 7.0 (Nougat). Up for sale is a used Sony Xperia X Compact F5321 in what Sony calls black (though it's more of a really dark blue). There's an issue with the display where a small part of it near the top doesn't respond to touch properly. This link is for Original HTC One M9 M9 Plus. 1 Original Cellphone (Unlocked, Refurbished). Then we can check it for you! WHEN SEND THE PARCEL AND WHEN IT WILL ARRIVE?. 1 Earphone. Trending at C $78.83eBay determines this price through a machine-learned model of the product's sale prices within the last 90 days. 3G: HSDPA 850 / 900 / 1900 / 2100 - E6853. 4G:LTE band 1(2100), 2(1900), 3(1800), 4(1700/2100), 5(850), 7(2600), 8(900), 12(700), 17(700), 20(800), 28(700), 38(2600), 40(2300) - E6853. 3G bands HSDPA 850 / 900 / 1900 / 2100 - E6853. ModelSony Xperia Z5 E6653. MPNSony Xperia Z5 E6653. 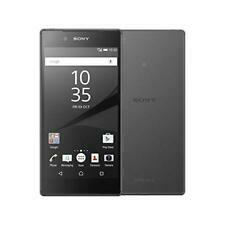 New 5.2" Sony Xperia Z5 E6653 Octa-core 32GB 4G LTE GSM AT&T Unlocked Android Smartphone. Lock StatusNetwork Unlocked. NETWORK Technology GSM / HSPA / LTE. 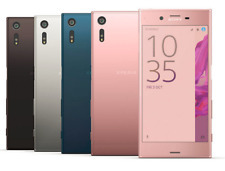 Sony Xperia XA1 Ultra G3223 32GB 4G LTE GSM Unlocked Android Smartphone - 9/10. Condition is Seller refurbished. Shipped with USPS First Class Package. Comes with two cases (one billfold and one belt pouch see pic.). White Motorolla Droid Turbo 2 - 32GB (Verizon GSM Unlocked ). 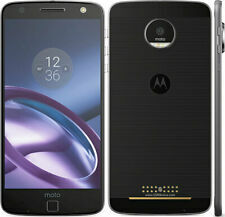 One of its stand-out features is the display, protected by Motorola's ShatterShield technology, making it highly resistant to cracking. Work with verizon and unlocked. This phone is in good condition. Battery cover. Trending at C $172.37eBay determines this price through a machine-learned model of the product's sale prices within the last 90 days. Trending at C $268.58eBay determines this price through a machine-learned model of the product's sale prices within the last 90 days. Trending at C $187.07eBay determines this price through a machine-learned model of the product's sale prices within the last 90 days. Band GSM/GPRS/EDGE Quad-Band 850/900/1800/1900, WCDMA Quad-Band 850/900/1900/2100, HSPA LTE 1/3/7/20 (Cat 4). I/O 3.5mm audio, USB 3.0 Type C, Micro SD (Up to 128 GB) Single SIM (Nano(4FF)). OS Android 6.0 Marshmallow.